Due to health reasons, I am thinking about buying a hand held electric starter for my FG-90 R3, do any of you guys use a starter ? If so, which one ? I would appreciate some comment from somebody who actually uses one. Just use your electric drill. Buy a starter cone and insert from Sullivan, put a bolt, (I think a 4-40) in the cone to attach to your drill. i've use it for a couple of years on my RG 84 and RG 90. Works perfectly. 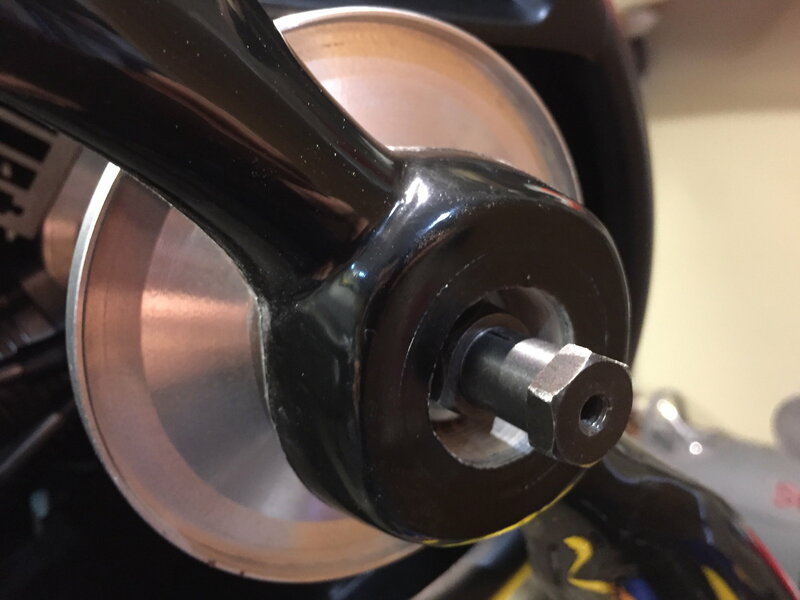 I’ve been looking at beila props but they are too thick at the hub to fit a backplate on for a spinner due to the length of the prop nut thread. Can anyone please help with alternative brands of quality propellers which work on the Saito 84? What Beila prop? 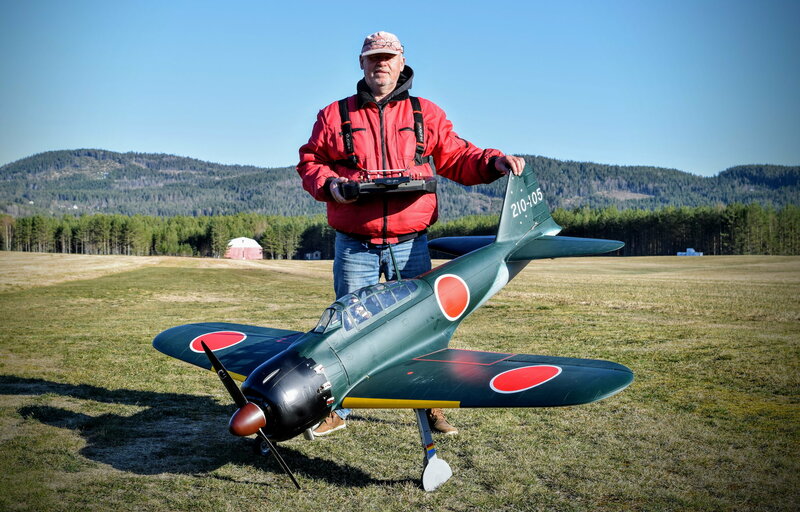 I run a 22X12 Beilla Fokke Wulf prop from Aircraft International on my Zero with an 84 as well as the 22X12 WWII Prop. That's a lot of oil on the ground! 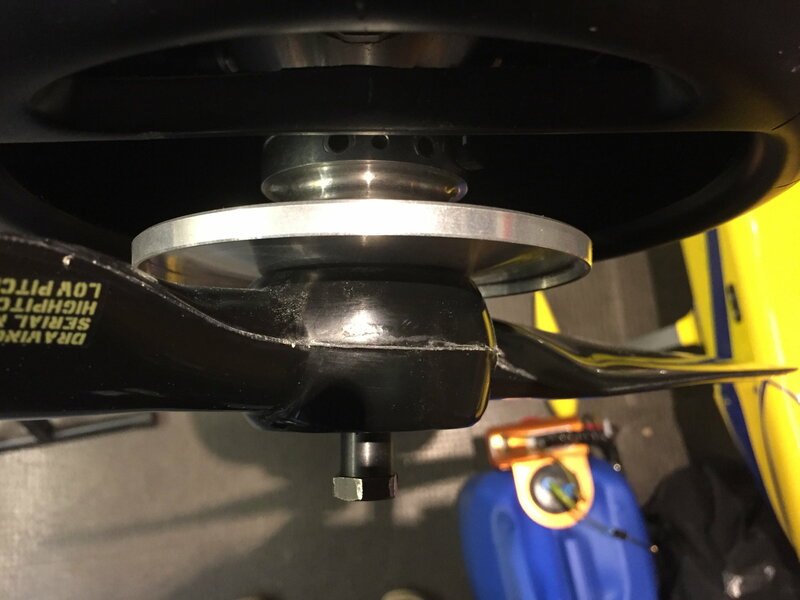 The beila 24 x 10 prop I have is a 34mm thick hub and too big for a spinner, unless I recess the prop nut. The WWII ones are 30mm I believe, does that not cause the same issue? I don't know if this will help, but I use a Beila 22X12 3 blade Folk wulf prop on my Zero with the 90. The thickness is 25.6mm and poses no problem for fit. Check on that thickness of the WWII prop. . If you call Aircraft International, they can give you the thickness of any prop hub. As a matter of fact the prop that Ray English recommends is the Beilla 3 blade 22X12 size WWII , so I know it will fit. I haver used it as well I would recommend a 22X12 3 blade prop, Combined with the Keleo Exhaust Ring people are going to asking you "What have you got in that thing? It really sounds great". Heavier prop, less nose weight, better sound. If you use a 24X10 2 blade you may need to go with a wooden prop. Falcon makes a painted WWII wooden 24X10 prop. I've cut into the Beila prop by 14mm to enable the use of my spinner. Last edited by Neil Guildford; 04-11-2019 at 07:11 AM. 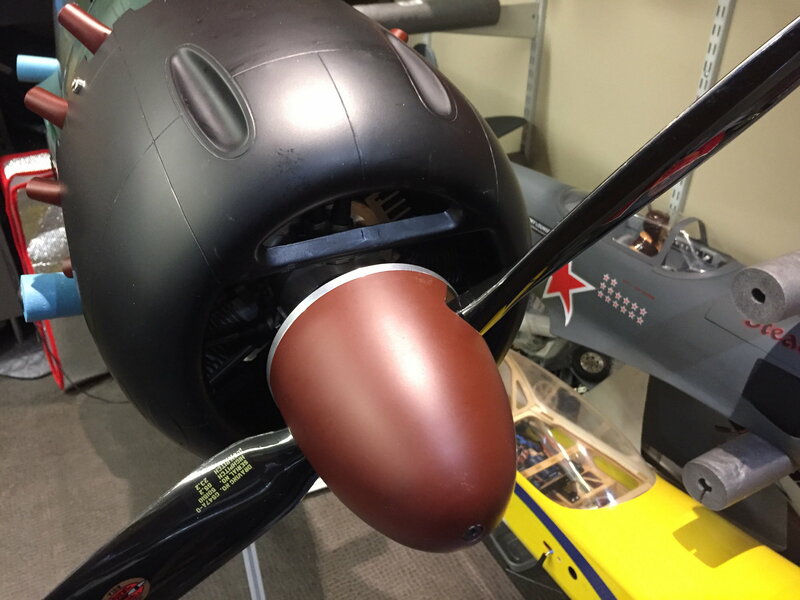 What is the width of the prop hub? I use the 3 blade 22X12 for my 90 and don't have to trim anything. I think it’s 34mm from memory. I wonder if I have a shorter prop shaft as a few people have commented the same. With the back plate for the spinner on I can only just get the whole of the first nut on, but only if I omit the washer. Biella 3 Blade 22X12 is 24.2mm thick at the hub. The 22X12 and Keleo exhaust ring makes for incredibly good sound. Is that the semi scale black prop or one of the white ones that’s 24.5mm? I can only think that Biela has changed the size that they manufacture to. 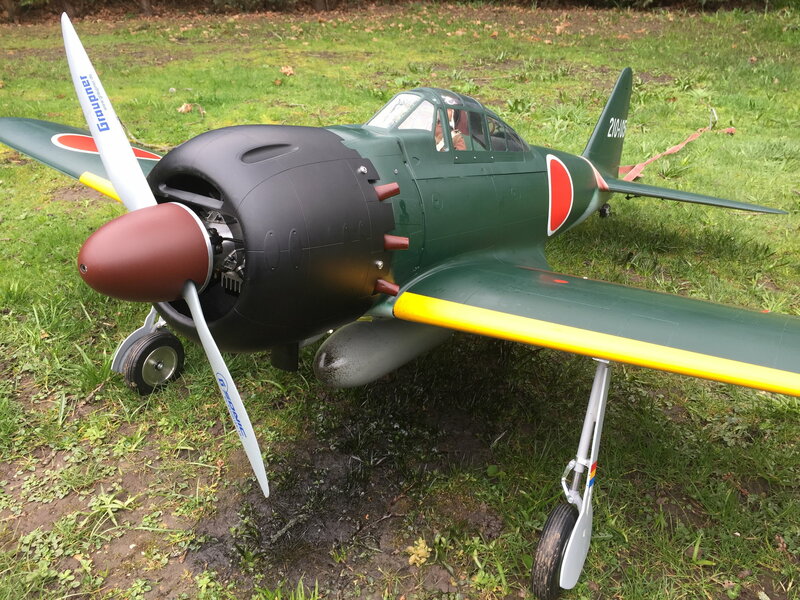 This engine isn’t new to me and was in my Hangar 9 Corsair for three years previously, first with a 22 x 10 3b semi scale Biela, then 22 x 12 3b and lastly the 24 x 10 2b. The 2 blade is the thickest at 34mm. 22 x 10 3b is 27.2mm. 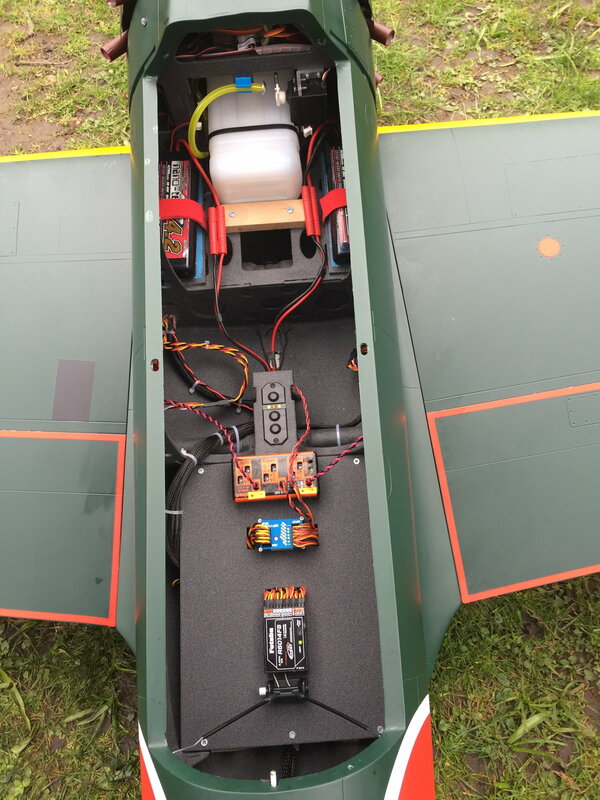 New maiden complete in Norway, will be posting video tomorrow..
Congrats on maiden. What engine and gear did you use? What was all up weight? Good video, thanks for posting.